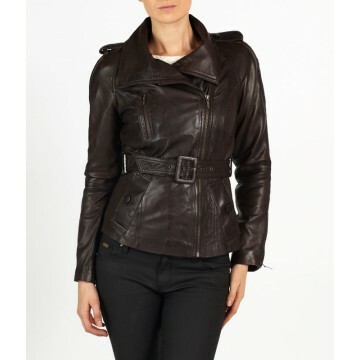 ANAYA is an exquisite fashion biker leather jacket made of New Zealand lamb in a rich dark two tone Brown. ANAYA delivers an impressive fit, it is appealing and a striking eye catching jacket with a unique collar. Anaya is a must have for this season.